1. CPS seems to favor SWR over PA.
2. PA gets rave reviews and then some "meh" reviews. 3. Granger is to pipe tobacco as an MRE is to food. 4. I think the term "OTC" or "Drugstore blend" is more suited to the genre than "codger burley" since there are some aromatics, etc. thrown into the discussion. How good are the Sutliff match blends? I really want to try Walnut, Sugar Barrel, and Country Doctor but I would only want to try them if they were very close approximations of the originals. Does anyone have any Edgeworth sealed? I have the Lane Ready Rubbed and it's my favorite tobacco so far and I would love to try the original. I have a sealed tin of Balkan Sobrannie from 2017 that I could part with. Probably a lost cause at this point but I thought I'd throw it out there. This thread is probably one of the best pipe threads I've read yet. Thank you CPS. HO-HO-HO-Hold on here, pilgrim. SWR over PA? I have my serious doubts, sir. Cornell & Diehl has a new burley blend that I highly recommend. It’s called Redburn and is quite delightful. If you like SWR I think you’ll like this even better. I just ordered five tins of this stuff based on this post. I'm holding you personally responsible. Good call, brother. This stuff is a real treat. Glad you like it. I bought some on a whim because it sounded interesting and it turned out to be far better than expected. 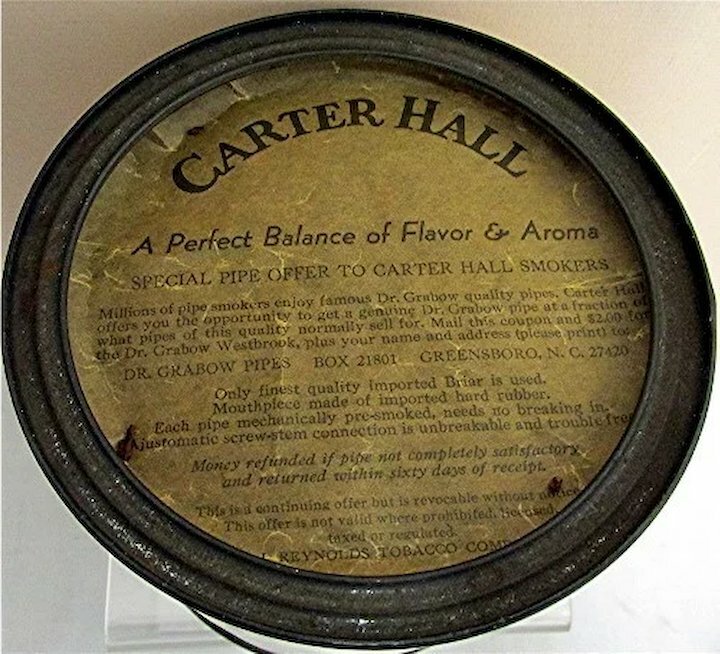 If I had to pick one, I don’t smoke these much, but I like Half&half and Carter Hall decently... not a fan of PA. I've been so busy with those "life things," I've not had time to return to trying out "4th" Generation 1957, from Denmark, or anything else for that matter. The Sutliff ERR Match is really good. I like Mixture 79 too but I would suggest buying it in bulk. It's a bit dryer and smokes better. To follow up on this blend I have to say that it is quite close to unseating OJK as my favorite burley. I like Perique but the dark fired leaf along with the light topping is blending genius. That's amazing praise and I'm slightly surprised. OJK is one of the very few blends that unmanned me. The strength of OJK never bothered me. I find the interest of Redburn keeps my attention more than OJK and that the components plus the rum and molasses really do add up to more than the sum. Setting it down and relighting later do not do any harm to the flavor profile like OJK can have. Interesting. If my local ever gets it, I'm definitely trying it. 7formy1911 is a visionary. If he would start a burley cult I would robe-up and join. The Burley Brethren of Borneo? We’d obviously have to start it up in a third world country to skirt any pesky laws. No Koolaid, I promise! You can’t smoke when you’re dead.